Excelsior hulless barley is an excellent choice for the home gardener or homesteader. Sow seeds 1.25 cm (1/2 in) deep - 2.5 cm (1 in) apart, grows 1 m (40 in) high in 90 days. Harvest when most seed heads are dry and are starting to fall over. Hulless or 'naked' barley has loose glumes/hulls that are easily removed by rubbing, or threshing on a solid floor or by 'dancing on the dried seed heads'. Winnow. Enjoy in hearty grain dishes, grind into flour or sprout. 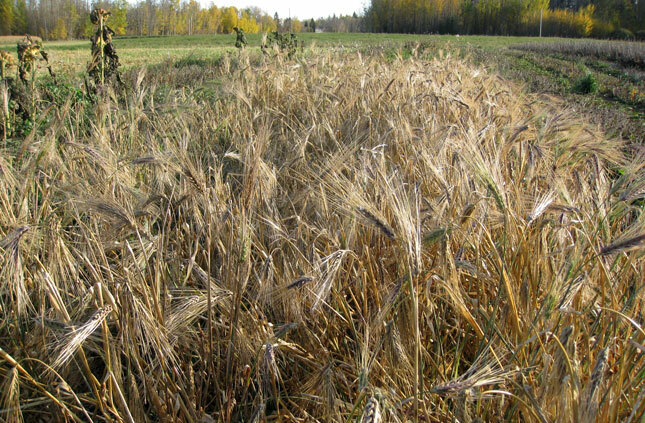 Hulless barley can also be grown in patches as an ornamental. Save some of your choice seed to plant the following year. Both an heirloom and short-season.